Omaha Communications was founded in 1994 with the mission to enable our clients to leverage the emerging power of Networks and Voice over IP technology. With headquarters in Omaha, Nebraska, Omaha Communications has a long history of innovating for our customers and implementing cutting edge technology solutions that advance their business processes. The dedicated team at Omaha Communications strives to provide our valued customers with the most innovative and customized technological solutions for the needs of their business. With a history of problem solving, we have developed and implemented countless valuable solutions for our customers throughout the years. You can count on us! With a history of problem solving, we have have developed and successfully implemented countless valuable solutions for our customers throughout the years. Omaha Communications Installs Tool Room Tracking System at Loral Aerospace Loral Aerospace, based in Palo Alto, California, is one the nations most advanced aerospace technology companies specializing in the development of spacecraft and sophisticated communications satellites. Developing spacecraft requires sophisticated and expensive tools. Some of these tools can cost millions of dollars. Loral called on Omaha Communications to develop and install software at its Palo Alto HQ that tracks the location and disposition of the tools and equipment in their tool room. The software also helps allocate the expense of using the tools on a departmental basis. Omaha Communications Develops First USB Barcode Readers for Apple Computer In 1998, shortly after returning to Apple Computer Steve Jobs oversaw the design and development of the iMac – which at the time was a whole new kind of computer. Steve wanted to build the iMacs here in the US (in the Bay Area) and he wanted to build the iMacs using iMacs. This created a problem because the factory line required barcode readers and the only interface port on the iMac was a USB port, and at the time there was no such thing as a USB barcode reader. Apple approached Omaha Communications and we created the first USB Barcode System specifically for use on the iMac G3 factory line. Apple installed hundreds of these barcode readers on their iMac factory line. Later Microsoft included support for the USB ports in their Windows XP Operating System. Soon after, USB barcode readers became Omaha Communications’s best selling product until 2000. Omaha Communications Installs First Voice Over IP PBX in the State of Nebraska Omaha Communications began working on developing a Phone System based on IP protocols starting in 1996. In 1998, Omaha Communications was introduced to the NBX Corporation. NBX had created the first commercially viable VoIP phone PBX. We decided, “If you can’t beat them – join them”. So that it is what we did. We signed up with NBX Corporation to install the first VoIP PBX in the State of Nebraska in 1999. By 2002, Omaha Communications was one of the largest NBX resellers in the United States. Omaha Communications Installs the First Multi-Site VoIP PBX in the State of Nebraska Omaha Communications installed the first multi-site VoIP PBX in 2001 at Kohll’s Pharmacy in Omaha, Nebraska. Kohll’s used this solution actively until 2016 when we upgraded them to a ShoreTel Connect Cloud solution to free up their IT resources and take advantage of all the features of a fully connected VoIP Solution with none of the IT headaches to support it. They also liked the ability to add one-off features like Mobility or Call Center to those users that need them without the burden of servers, upfront costs and maintenance. Omaha Communications Develops Tire Tracking System for Pirelli Tire As a result of a series of deadly rollovers involving the Ford Explorer, Ford issued rigorous specifications for tracking which tires were factory installed on each vehicle it sold. Pirelli Tire was selected as tire vendor for Ford. Pirelli made several attempts to find a vendor who could develop a software tracking system that complied with Ford’s specifications. Finally, after multiple failures Pirelli reached out to Omaha Communications. We subsequently wrote the software that complied with Ford’s requirement and did so under budget and ahead of schedule. The secret to this success (like the secret to so many of our successes) was a focus on the business processes rather than the technology. Omaha Communications Develops Package Tracking and Delivery System for Nebraska Medical Center Nebraska Medicine is a cutting edge full service hospital systems with one of the nations top ranked transplant facilities. Nebraska Medicine also maintains a strong partnership with the University of Nebraska Medical Center – Nebraska’s largest medical school. As such, the shipping department handles many important packages. Sometimes the timely delivery of these packages can be a life or death matter. Other times a package could contain a critical sample that is critical to life saving medical research. So, when it came time to develop a package tracking system (including software and hardware) for Nebraska Medicine they turned to Omaha Communications to get the job done. We have since gone on to create 5 other customer applications for the Nebraska Medicine that they continue to use and rely on daily. Omaha Communications is recognized as the largest 3Com NBX Reseller in the United States The NBX was the first commercially available VoIP PBX designed for the SMB (5 to 5000 user) market. InPath sold and serviced over 5000 systems nationwide and was a Gold Level Reseller for almost ten years. Omaha Communications sells NBX phone equipment to USAID who installs them at locations world-wide USAID is the lead U.S. Government agency that works to end extreme global poverty and enable resilient, democratic societies to realize their potential. USAID works in over 100 promoting broad-scale human progress at the same time it expands stable, free societies, creates markets and trade partners for the United States, and fosters good will abroad. 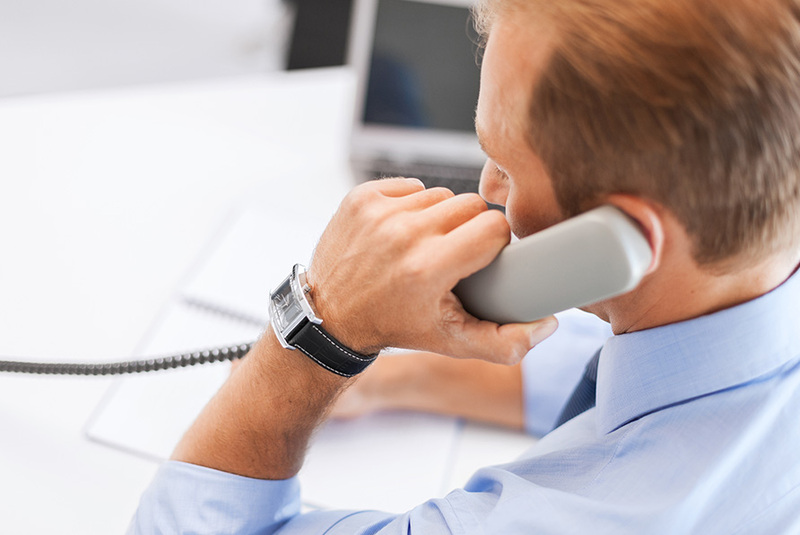 Omaha Communications becomes the largest ShoreTel reseller in the Tri-State area The NBX Phone System is discontinued as a result of HP’s acquisition of 3Com. So,Omaha Communications adopts ShoreTel’s “Brilliantly Simple” VoIP Unified Communications platform and begins mapping a migration strategy for our loyal customers. Omaha Communications is dedicated to a responsible approach to resources and the environment For years, we have done everything we can to repurpose NBX phone equipment and put it back into service. However, we currently receive more NBX equipment that we can economically repurpose, and much of the equipment we receive is not outdated. In response, Omaha Communications initiated our recycle and recovery program. Thousands of obsolete NBX phones and components are saved from landfills and sent to green recycling centers to recover scarce resources. Hewlett Packard discontinues the VCX Enterprise VoIP platform and Omaha Communications embraces the ShoreTel Enterprise solution. Omaha Communications reacts to HP’s decision to discontinue support for the 3Com VCX Enterprise VoIP platform by embracing ShoreTel’s “Brilliantly Simple” scalable Enterprise VoIP platform. Omaha Communications Sells our first Cloud Based (Hosted) Phone System Omaha Communications embraces “tomorrow’s technology” and sells its first “Cloud Based” Phone system. Omaha Communications now offers a complete portfolio of solutions – Hosted, Premise and Hybrid – that we can tailor to the specific needs of our clients. Multi-Site Hosted VoIP Phone System – North Carolina OutBound Installed a multi-site hosted phone system to serve the needs of the 400 users at North Carolina OutBound. The site is currently a pure hosted solution with a dedicated circuit offering contractually guaranteed QoS (Quality of Service). For years, Omaha Communications had been reluctant to install hosted solutions for customers because of persistent problems with QoS. However, with ShoreTel’s new nationwide network of dedicated circuits we are able to offer all the advantages of hosted solution and the QoS that our customers demand. Omaha Jewish Community Center Campus We took over support of the communications system for the Omaha Jewish Community Center campus. The campus includes a modern health club facility, the offices of the Omaha Jewish Federation, the Omaha Jewish Community Center and the Rose Blumkin Jewish Home for the Elderly. Omaha Communications updated the entire system and installed a highly integrated security and Emergency Response System. The system integrated the campus security systems, phone systems and intercom with automatic and pervasive simultaneous notification in the event of security emergency. Among other integrated features the system allowed is the automatic lock down of controlled doors in the event of a security emergency. Omaha Communications Installs the first Hybrid ShoreTel Site in a K-12 School Hybrid VoIP technology is the cutting edge combination of hosted and premise based systems working together to accommodate the specific communications requirements of each client. This allows clients to get the best of both worlds (Hosted VoIP and Premise VoIP) from one interactive phone system. Omaha Communications installed the very first ShoreTel Hybrid phone system installed in a school. Furthermore, this was one of the first Hybrid ShoreTel phone systems sold to a customer in any organization environment. Technology That Works. People That Listen.